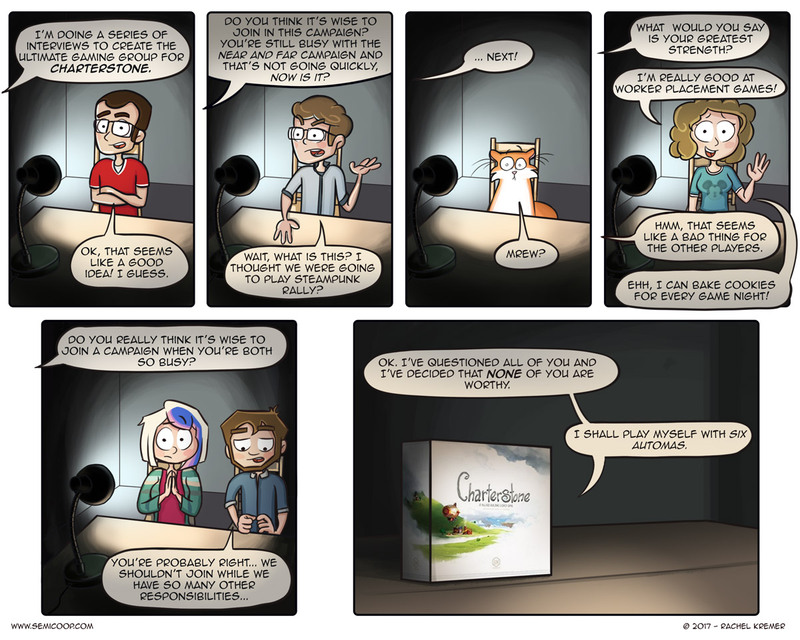 Our gift from our Board Game Geek Secret Santa arrived last week and oh my… IT’S CHARTERSTONE and The Game Extreme. We’re actually not familiar with The Game, but the first time we played it, it became immediately clear that it is a very challenging little co-op card game – great fun! We’d like to thank our Secret Santa once again: thank you for the amazing gifts. But let’s get back to the beautiful white box. Right now it’s just displayed in our house for us to stare at it and we are cracking our brains over when we’re going to play it and with who. We probably want to finish Pandemic Legacy Season 2 first and then get started with this beauty. We’ve been on a roll with Arkham Horror the Card Game last week! We’ve played the first four scenarios of the Dunwich Legacy campaign and we are loving it. Our team of investigators does seem to be a little overpowered though. The combination of Rex Murphy and Zoey Samaras is just devastating. Rex finds clues very very easily and monsters almost perish at the sight of Zoey. We’ll probably try this campaign again with other investigators and see how it goes then. 🙂 But first, we have two more scenarios to go and we probably have to wait a while for the last scenario pack since it seems to be out of stock everywhere. PS. Don’t forget that you can submit your own Golden Standee for our People’s Choice awards! More information on how to submit in this blogpost. I received mine and upon opening I discovered Viticulture Essential, Tuscany Essential & Moore Visitors. Santa will bring me dragonfire, charterstone and imperial assault. I hope he’ ll bring me a time slower To play with all of this. We’re waiting for the last Mythos Pack of the Dunwich Legacy campaign as well, it’s exasperating! We’ve been wanting to get it since July or so, as together with the 4th, Undimensioned and Unseen. We were finally able to get that one last week, but the 6th Mythos Pack is still unattainable. I wish FFG would get their act together and ship some copies to Europe; its reprint has been out in the US for quite a while. I had really hoped to get Terraforming Mars, but then I’d probably need a gift of more spare time to actually play it, since we have a baby and a toddler in the house!